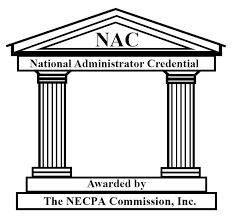 The National Association for the Education of Young Children administers the largest and most comprehensive accreditation system in the country for early childhood programs and child care centers. Accreditation from the NAEYC assures the highest level of quality. a teaching staff with the educational qualifications, knowledge, and professional commitment necessary to promote children's learning and development. Early childhood programs that are accredited by the NAEYC Academy for Early Childhood Program Accreditation have voluntarily undergone a comprehensive process of internal self-study and improvement. Each NAEYC-accredited program must meet all 10 of the NAEYC Early Childhood Program Standards. NAEYC Accreditation is valid for five years. During that period All Kids First makes annual reports documenting that they maintained compliance with the program standards. We also have regular, unannounced visits by NAEYC assessors. For more information about the National Association for the Education of Young Children, and the NAEYC Accreditation program, visit their web site at www.naeyc.org.